Boot Barn is America’s largest western and workwear retailer with more than 200 stores in 30 states. Under Marwit’s four-year ownership period, with Mr. Britt serving as Chairman and lead investor, Boot Barn grew from 32 stores in 2 states to 85 stores in 8 states, built out www.bootbarn.com, and grew sales and EBITDA by 300% and the valuation of the business by 400%. Following this growth, the business was sold to affiliates of Freeman Spogli & Co., a prominent middle market private equity firm who has invested almost $4 billion in 56 companies in its 30-year history. 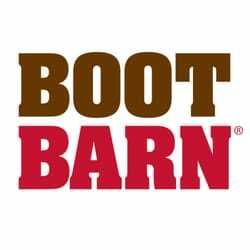 Today, Boot Barn is a public company traded on the NYSE (symbol: BOOT) and has an enterprise value of in excess of $500 million. Western Emulsions manufactures sustainable asphalt emulsion solutions for pavement preservation, repair and recycling. With Mr. Britt serving as Chairman of the company for seven years, the business grew from two plants serving two states to six plants serving 15 states, dramatically expanded its lines of proprietary products, built three new facilities and acquired two others, and grew to become the largest independent provider of pavement maintenance, preservation and restoration products for asphalt surfaced roads and parking lots in the U.S. During this seven year period, sales and EBITDA more than tripled to greater than $100 million and $14 million, respectively. Prior to its acquisition by Regal Entertainment Group (NYSE: RGC), Signature Theaters was a movie theater chain that owned and operated 30 theatres comprising 309 screens in California, Hawaii and Montana. Over Marwit’s seven-year investment period, with Mr. Britt serving on the Board of the company and as lead professional investor, the business grew to become the 12th largest movie theatre chain in the U.S. The company along with the associated real estate was sold to Regal for $200 million. Founded in 1920, Driftwood Dairy is one of the largest processors of fresh milk and related dairy products in California, and is in particular is the largest supplier of milk and juice to K-12 schools in the state. Marwit was the principal owner and Mr. Britt served as lead investor and Chairman of the company for eight years. The company was sold to Vietnam Dairy Products Corp. (“Vinamilk”), the largest publicly-held company in Vietnam and one of the largest dairy companies in Asia. In 2015, Vinamilk reported total sales of $1.8 billion, EBITDA of $450 million, and a market capitalization of $8.4 billion as of August 2016. Nupla Corporation was founded in 1938 and is a leading worldwide manufacturer of industrial grade fiberglass handles and non-powered hand tools for OEM, industrial supply, and other markets. Marwit was the principal owner and Mr. Britt served as lead investor and Chairman of the company for five years. The company is currently owned by Q.E.P. Co., Inc., a $300 million manufacturer based in Boca Raton, FL.